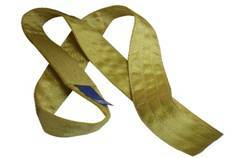 process and the wide load bearing surface aids safer lifting. 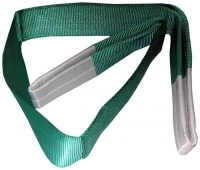 Our slings are made from high strength polyester yarn incorporating good shock absorption properties with a high strength to weight ratio. Wear sleeves are available as an optional extra. 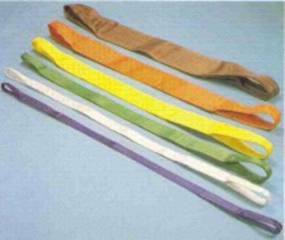 Polyester slings are suitable for use in a temperature range from - 40º C to + 100º C and are resistant to moderate strength acids. 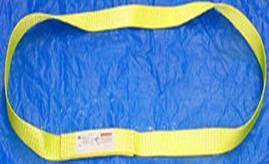 Do not use in alkali conditions. Seek our advice if exposure to chemicals is likely. 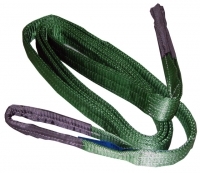 All our slings comply with BSEN 1492 part 1, are colour coded for increased safety with a Safety Factor of 7 : 1.